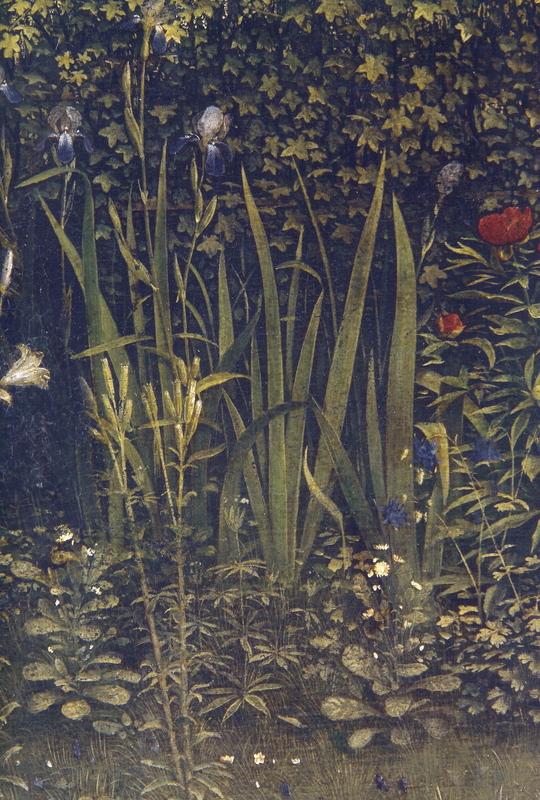 Details of flowers from the Ghent Altarpiece (containing the Adoration of the Mystic Lamb), begun by Hubert van Eyck (who died in 1426) and completed in 1432 by his younger brother Jan van Eyck. 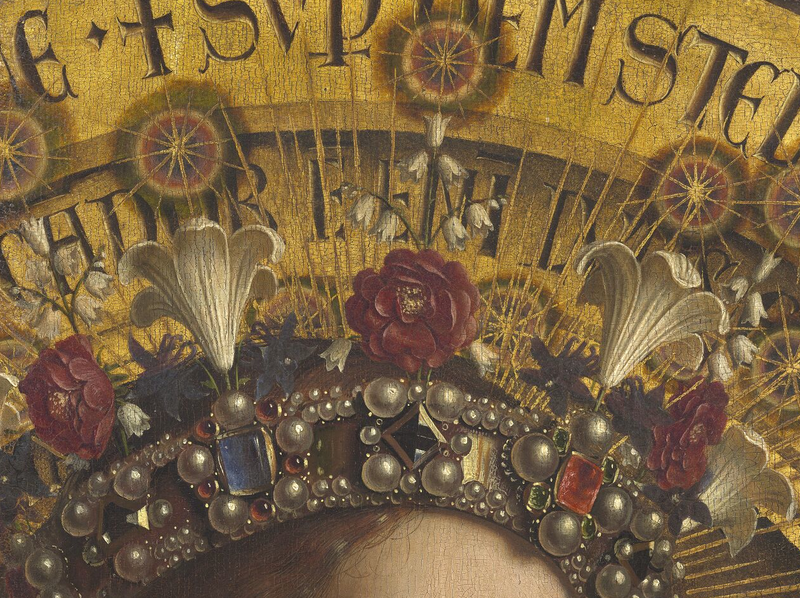 The second detail is from the crown of the Virgin Mary (on the left in the three central upper panels of the full altarpiece). 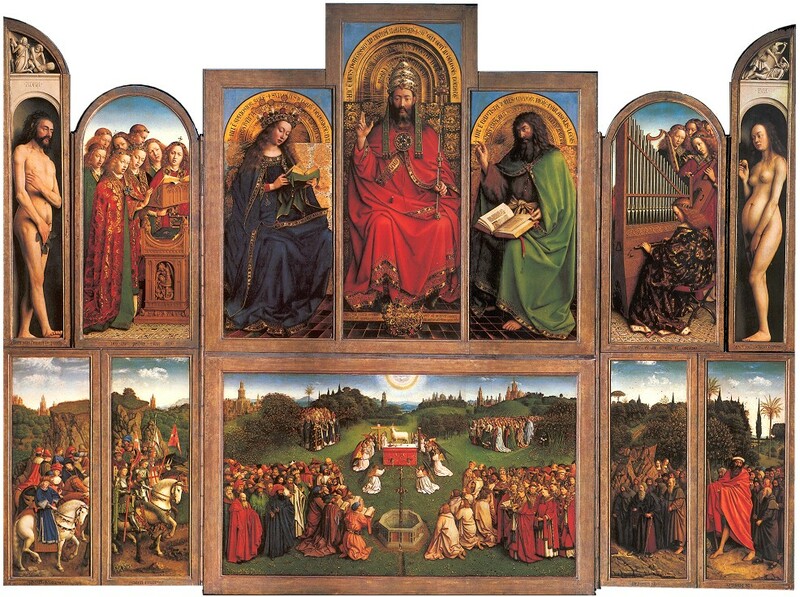 Finally, there is an image of the full altarpiece for context (in the open position, with the other side having depictions of donors and additional religious figures).